Amazon recently made headlines when its valuation briefly surpassed $1 trillion. Owner Jeff Bezos has appeared in headlines as well, as he has risen to become the richest man in modern history. Amazon has made waves in the world of e-commerce, web hosting, and is implementing their AI, Alexa, into numerous household electronics. Amazon is well known for the speed with which it’s able to deliver packages, especially considering the size of its operation. Bezos has seemingly achieved the American Dream by growing his online bookseller into the behemoth it is today. But Amazon has made the news for other, less flattering, reasons. Amazon’s beloved quickness appears to have come at a cost to worker safety and responsible business practices. Journalists have uncovered instance after instance of the company leaving injured employees out to dry, with many becoming homeless, unable to work, and lacking any income. Perhaps the most well-known complaint from Amazon employees is the micromanagement of every minute of their time, even for bathroom breaks. Even the office workers report elevated levels of oversight, but their plight is overshadowed by what many warehouse workers have experienced. Amazon warehouse employees work at breakneck speeds to meet their quotas; broken equipment is left unfixed for months; and the company aggressively disputes workers’ compensation claims. Vickie Shannon Allen, 49, was hired by Amazon to be a counter in a fulfillment warehouse at Haslet, Texas, in May 2017. While she was excited at first, that feeling disappeared in a few short months. She injured her back counting goods on a workstation that was missing a brush guard, a piece of safety equipment meant to prevent products from falling onto the floor, after trying to compensate for the missing part. The medical triage gave her a heating pad, but management repeatedly sent her home without pay due to the injury. She eventually received compensation but went on to re-injure her back on the same workstation, which still wasn’t fixed. Amazon eventually replaced the missing part and reportedly offered Allen a compensation package in return for signing a nondisclosure agreement. Allen refused. She currently lives out of her car in the parking lot of the fulfillment center. Vickie Shannon Allen’s ordeal is not unique. Many other employees who have injured and re-injured themselves have experienced similar fates. 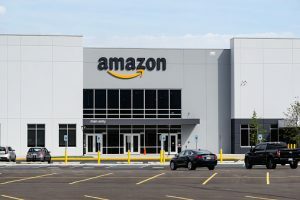 If you’ve been injured on the job, at an Amazon warehouse or elsewhere, you shouldn’t have to navigate the complex workers’ compensation process on your own. A single error or missed deadline can seriously harm your chances of getting the benefits you need for your work injury. That’s where a workers’ compensation attorney can make a meaningful difference. Contact our office today. Now, add to that list a greater risk of developing several types of cancer. A recent study by the Harvard T.H. Chan School of Public Health revealed that flight attendants had “a higher prevalence of every cancer that was examined,” including breast cancer, melanoma, and non-melanoma skin cancer. For the study, researchers surveyed 5,366 flight attendants in the United States, then compared the prevalence of cancer with a study involving about 5,000 U.S. residents in the National Health and Nutrition Examination Survey. “Our findings of higher rates of several cancers among flight attendants is striking given the low rates of overweight and smoking in our study population, which highlights the question of what can be done to minimize the adverse exposures and cancers common among cabin crew,” the authors said in their study report. Researchers recommended organizing the work schedules of flight attendants to limit the disruption of circadian rhythms and diminishing their exposure to cosmic ionizing radiation and called for additional study. They also noted that flight attendants can be exposed to chemical contaminants on airplanes, such as pesticides that are sometimes required to prevent the spread of disease between flight destinations. “The (European Union) already evaluates radiation exposure among flight attendants, which our findings show may be an important step toward lowering cancer risk among this work population,” Eileen McNeely, co-director of Harvard’s Sustainability and Health Initiative for NetPositive Enterprise Program at the Center for Health and the Global Environment, said in the press release. If you’re a flight attendant who has been stricken with cancer, or anyone battling a work-related disease in Rhode Island or Southeastern Massachusetts, your life has been turned upside down by your situation. In addition to the physical, mental and emotional challenges, you may be trying to navigate the complicated legal world of workers’ compensation. The last thing you need in your life right now is more stress. The workers’ compensation lawyers at the Law Offices of Deborah G. Kohl have experience handling cases just like yours, whether you are in Providence, Fall River or Foxborough. We will aggressively fight for your rights with both professionalism and compassion while you focus on what is most important – your health. We offer free case consultations while working on a contingency basis, meaning you pay nothing unless we win your case.